How to enable ThingWorx Performance Advisor to better monitor usage? After providing those details, use the Request button to request an Authorization Key. 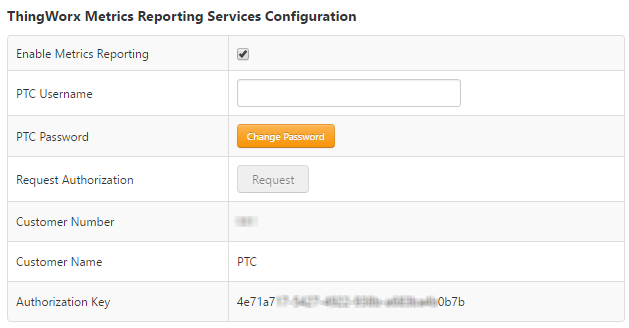 Customer Number and Name will be filled automatically and an Authorization Key is generated which allows the server identifying itself to the PTC environment. Those fields are read-only.